Life becomes a twisty, twirly, albeit beautiful, mess when the multitude of directions you are pulled in straddle nations, culture, language and lives that have somehow found their way to intersect with your own. There is a tension within me has continually escalated for many years. I want to be in so many places at once. I feel fractured into pieces that continue to lay divided, always seeking that next opportunity of Kingdom purity that forces them to pull together into a version of whole. Those moments come in conversation, photos, storytelling and being present with those I constantly wish I could be with in person. When I take time to stop and slow down…or am stuck on a plane without distraction, because the headphone plug doesn’t work to watch a movie…I am forced into a time of reflection that I, admittedly, tend to avoid. For the last several years, my life has felt like a constant revolving door of relationships. Some for a weekend, and others that will literally be for a lifetime, yet all of them keep entering and exiting on a regular basis. Which is hard when you are someone who values relationship and being present with each other over literally everything else. 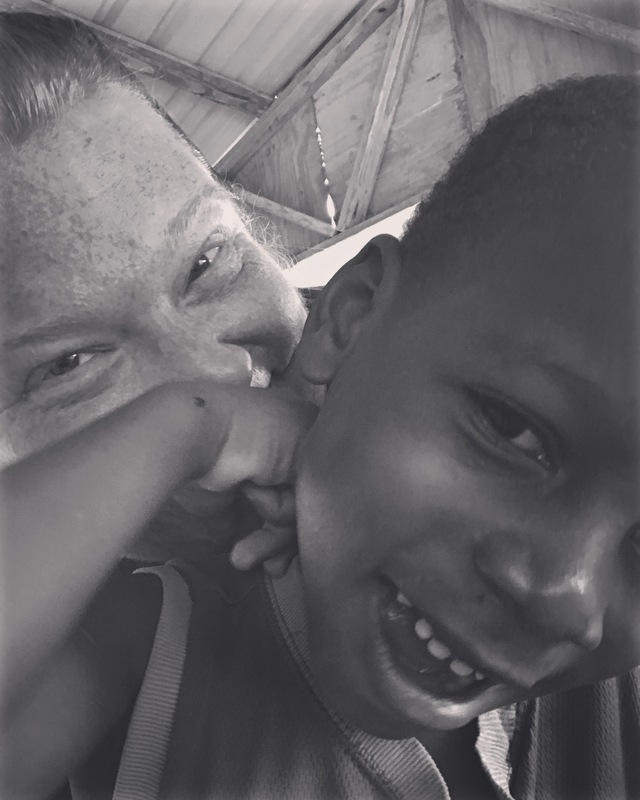 From the moment my heart was dramatically busted open by a 9-year-old street kid who was struggling to fit into an orphanage culture of structure, my life has been a constant forward trajectory of obedience, calling and insatiable desire to see the wrongs of this world righted through working to see God’s Kingdom come to restoration. The plethora of stories, where I have found my story and the story of so many others colliding, are overwhelming. The places I’ve been sent are at times so divinely perfect, that I struggle to catch my breathe. I have discovered a version of radical love that I never knew existed. All through the relationships God has blessed me with over the last fourteen years of, stubbornly and obstinately, fighting to see children know their worth and empowered to claim their future, while eventually being assaulted by the epidemic of brokenness through poverty, corruption, violence, abuse, neglect and abandonment. It’s strange when a heart that is passionate for orphans rests in the tension of those children actually having families and the realities they face every day to provide water, school, food, safety, etc. Everything seems to morph into an unquenchable desire to see families stay together, despite their situations of social and economic poverty. Resourcing and financial supporting constantly keeps the turnstile of worldwide orphan care rolling, yet with perspective it eventually turns into job creation and higher education that pours dignity and life change into those you love deeply. There are also the real orphans…the ones who have no where else to go and genuinely consider their caregivers as their family, and will continue to feel that the rest of their lives. Their brothers and sisters are the ones who they have grown up with. In most cases their parents are no longer living, in some they have chosen not to be a parent, others put in prison resulting in parents rights being terminated and yet still some are encumbered with sickness that keeps them out of the lives of their children. ‘Orphan’ is not a singular term. Over the years I’ve learned so much, but I have so much more to learn and absorb, and will continue to seek justice for each despite any definition. Through that journey, God has brought so many people into my life that have taught, listened, corrected and inspired me. All are people who constantly sacrifice to be on the front lines of a Holy and physical war that is raging for God’s Kingdom to be known and perfected. Over the last couple of months, I’ve sat with people all significantly and specifically called to be where God has them placed. It is hard, yet that assurance of being exactly where they are supposed to be and doing exactly what God has led them to be continually enforces they keep fighting for what is right. I’ve been sitting under the response a pastor gave me when I asked him about struggles in his congregation. A surge of recycling has changed the dynamic of lives in families who used to collect those recyclables and turn them in for money as their families only income. In the shadow of that change are mothers that are taking their daughters to the local prison on the weekend as prostitutes. Choices for the future are limited in an environment where income to pay for education is the only way to graduate high school. The fear in students who desperately ache to graduate is palpable when they see the short span of time until they age out of the orphanage at age eighteen and have only finished 7th grade. When they leave the security of the orphanage they have grown up in, how do they pay to finish high school? The hearts of those on the front lines are so humbly determined at times that it manifests as a school principal willing to take on all the responsibility and voice as gangs attempt to extort the community, so the gang members do not come after any of the staff at the school. There are literal life and death situations everyday. Yet it is not about getting caught up in the death, and everything about being caught up in REAL life and working to see God’s restoration and redemption. My heart aches for the disparity between the majority and the minority of the world. Lately I’ve been thinking frequently about a bright spark of hope and newness of life in the innocence of a small baby, whose life was extinguished way to soon due to lack of medical care in his country. When consistent and quality healthcare is absent in a majority world nation it drives up infant death rates, among other illnesses that lead to death, that punch you in the face while simply looking at photos from three years ago while your friends remark that some of our friends have not survived their illnesses over the years. No one can predict how God will change you and how he will lead you. No one can predict how many places God will leave pieces of you until you carry a constant feeing of being fractured. The control we do have is over how we respond. With ignorance, denial or avoidance? Or confidently acknowledging and following the Lord’s leading in presence, support and prayer? The stories I carry are exactly what leads to that fracturing I feel and the absence of feeling like I belong in only one place. It also drastically changes my definition of ‘home.’ These all fold into how how I hear stories and then it becomes about how I tell stories. It all revolves around relationships. Yet for me, my relationships seem to be separated by extreme distance that is hard to maintain, and then there are those relationships that God has blessed to be easy to maintain and that makes my soul soar with being known, remembered and loved. It can be a gift to embrace so many cultures, languages and people…but it can also be painful to be fractured, so the moments of Kingdom purity become the soothing balm that merges all pieces back together while remain stubborn about why and what we fight for as we yearn for restoration and redemption.